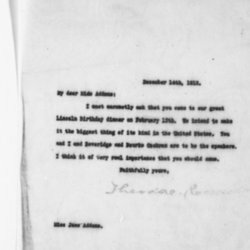 Roosevelt invites Addams to the Abraham Lincoln Dinner in February 1913. 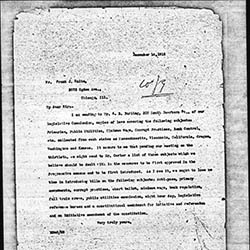 McCormick discusses his views on the legislative agenda of the Progressive Party. 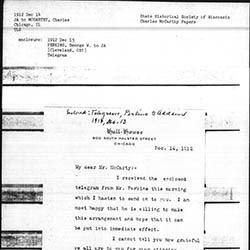 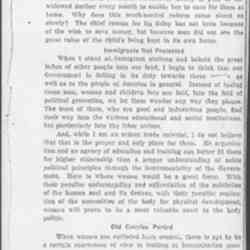 Addams forwards a telegram from George Perkins and thanks McCarthy for his address. 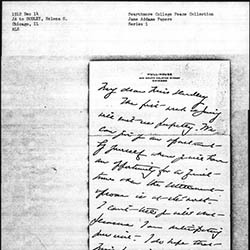 Addams discusses Dudley's upcoming visit to Hull-House.